A new book by Adrian Voce tells the story of the Play Strategy for England – and why it is more relevant than ever. When the United Nations issued a general comment in 2013 about children’s right to play, it observed that this part of its 1989 Convention on the Rights of the Child (CRC) had been widely neglected by policy-makers. The international play movement had long dubbed article 31 of the CRC, children’s ‘forgotten right’; and, while General Comment (GC) 17, in elaborating government obligations to ‘respect, protect and fulfil’ the right to play under international law, was hailed by advocates as a breakthrough, the indifference – not only of those in power, but of the political class and its commentariat in general – tended to confirm this view. The underwhelming response of policy makers to GC17 was as evident in Britain as anywhere. Yet, over the preceding decade – at least until 2010 – in Scotland, Northern Ireland and especially Wales, play advocates had been making big strides with their respective devolved administrations. And in 2008, five years before the UN issued its thoughts on the matter, the UK government itself produced a 12-year plan to ‘make England the best place in the world to grow up’ by bringing play, for the first time, to centre-stage of its child policy: recognising that playing children were at the heart of any shared vision for a liveable, people-centred public realm. 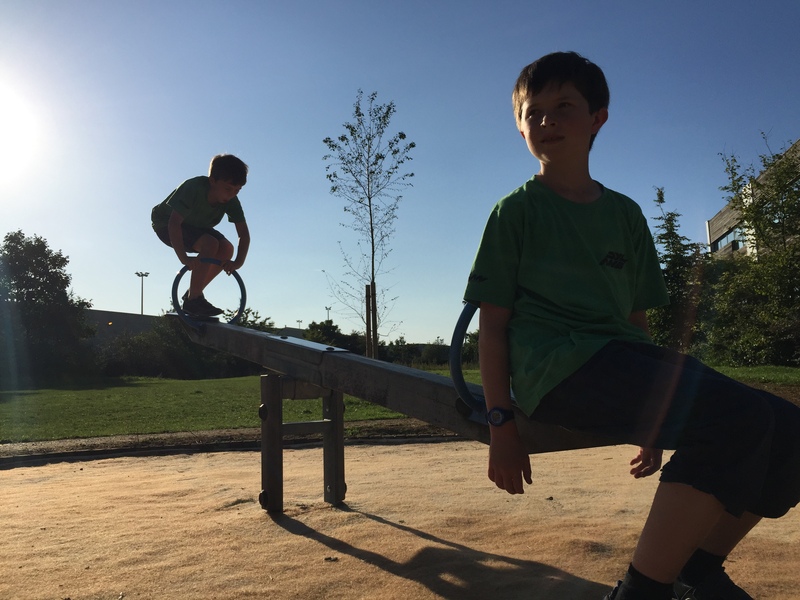 The 2008 Play Strategy set out the government’s long-term plan for every residential area in England to have a variety of inclusive, open access play spaces – staffed and unstaffed – and for children’s local neighbourhoods to be safe, welcoming places to play. The initial investment of £235m (building on a £155m lottery programme that had begun in 2006), was to be just the beginning of a wide-ranging strategy that would embrace planning, housing, highways, policing and parks, as well as schools and after-school childcare, in the challenge to make public space and public services more cognisant of and responsive to every child’s innate need and desire to play, free from the pressures and expectations of adult society. The financial crash that was unfolding at the same time as these plans were being announced – and the subsequent change of government in 2010 – brought a swift and premature end to this vision, with the Coalition’s, and the now the Conservative government’s ‘Big Society’ policy proving no substitute for strategic investment in the public services and public space where children might play. 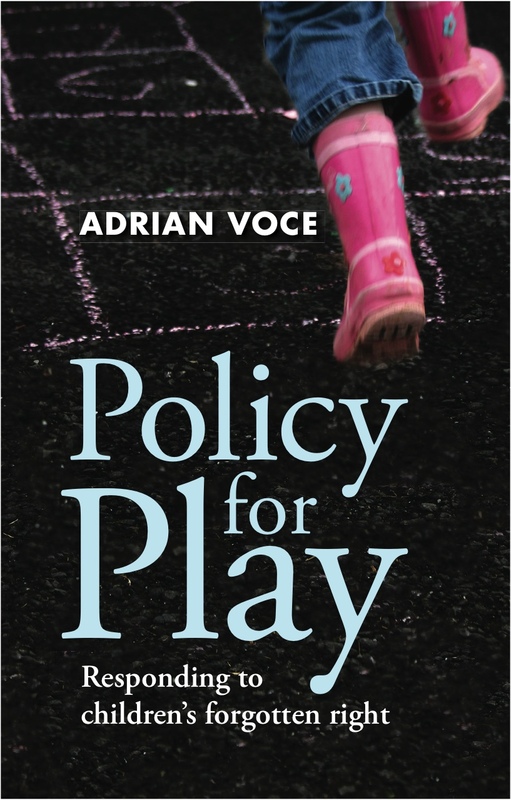 Policy for Play tells the story of the play strategy for England: its origins within the adventure playground movement and the emerging profession of playwork; the long campaign to have it adopted as part of the New Labour government’s children’s services reforms; and its premature termination by the Conservative-Liberal Democrat coalition, sacrificed to deficit reduction and education orthodoxy, before even its early pathfinder programme had been evaluated. 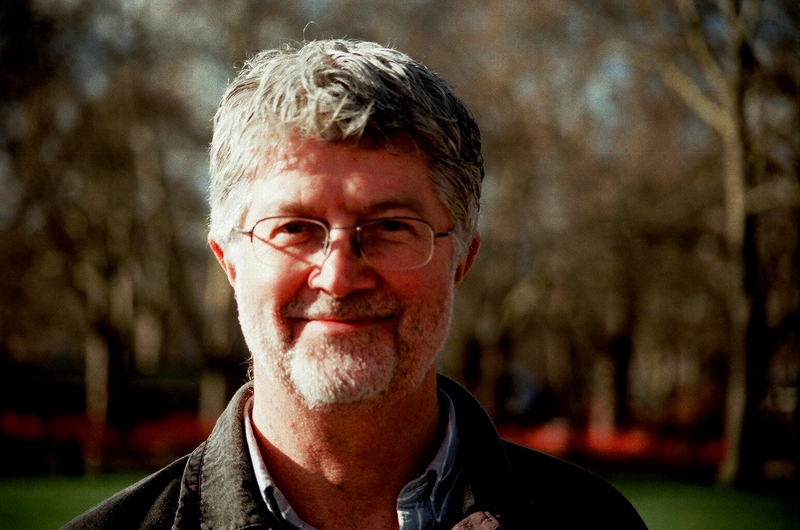 Far from simply recounting this uniquely British detour in social policy and its early demise after the financial crash, however, Policy for Play argues that the aims and principles of the play strategy should be revisited; to consider afresh the evidence for concerted government action on play; to take account of interim developments such as the play policy now in full flow in Wales, where sufficient play provision is now a statutory duty of local government; and to properly assess the true value to society of seriously investing in a child-friendly, playable public realm – and the real costs of not doing so. The book makes the case that the scarcity of space allowed to children, the pressures on their time and the relentlessly decreasing opportunities for them to play are, after five years of austerity, more acute than ever; and that leaving children’s play at the bottom of the list of policy priorities is as short-sighted as it is irrational and self-defeating. Play advocates – on good grounds – tend to argue that children’s right to play is based on its intrinsic importance to their lives now: that the most evident benefits of playing are immediate. Policy for Play argues that there is also ample evidence that playing is vital to children’s wellbeing, development and future life chances; and that not addressing the decline in children’s freedom to play undermines whatever efforts are being made to improve their health, educational and other outcomes. Whether for its own sake – for children’s right to enjoy their childhood – or for its important role in maintaining good mental and physical health and supporting children’s capacity to learn, this book makes an impassioned plea to policy-makers, and to wider adult society, to take play as seriously as children do themselves; to put policy for play back on the agenda and renew the commitment to make our country the best place in the world to grow up. ‘this book needed to be written. As well as providing a road map for all who want England to again move forward in improving everyday play opportunities for children, it will also become a key resource for play advocates and policy makers everywhere’.